I forgot to mention in my post about last month’s Pittsburgh Recorder Society’s meeting that Fred has started recording our sessions; he’s set up a tripod and an audio recorder. I kind of didn’t pay attention because it was not emphasized and nobody talked much about it. There was more mention of recording than in the past, and Fred made jokes about checking out what we did and how it would be useful for us to listen and see how we progress. Interestingly, this seemed to have quite an effect on what we did. I definitely felt a lot more serious and alert. Although I already always do take our meetings seriously, I will confess right now that whenever Fred said, “OK, now let’s do this again, and with recording”, I really perked up and gave it my all, trying to play as musically as possible, paying attention to intonation, articulation, ensemble balance, and even that terrible habit many of us have of sucking our recorders after the end of a piece. Fred is right: it doesn’t really make sense, logically, to goof off during rehearsal and then expect to play well in actual performance. In practice, we should do the reverse: play it as well as we can in rehearsal, so that when we perform, which is usually in less than ideal circumstances (anxiety, unusual location or acoustics, or being hectic in getting somewhere, or any number of other unexpected glitches), our performance might be worse than what we did, but it will still be good. On the other hand, if we don’t give it our all in practice, then what miracle can get us even better in performance? In any case, the recording of our work was not at all some kind of grim task. I enjoyed the additional seriousness and care, and I think we’re sounding better and better every month. Amusingly, the most noticeable thing is that when we know we are being recorded, we end pieces much better, and then dead silence. No rustling, no recorder sucking. Wow. I really enjoy that unity. 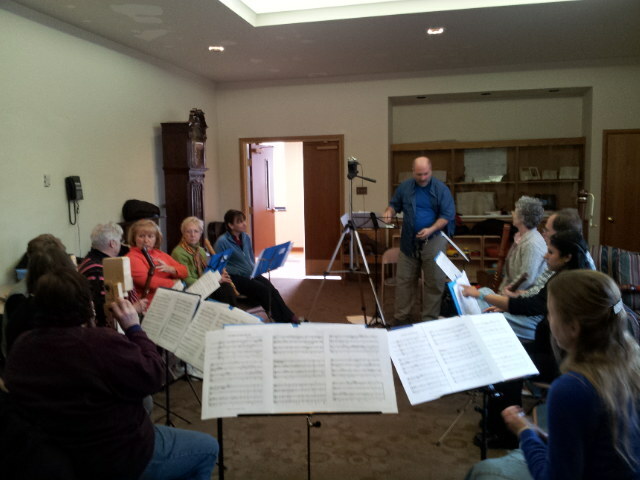 This is the first recorder meeting in my three years in which I did not play soprano or alto recorder once! I have been much preferring to play tenor and bass, to provide inner or bottom voices, and letting the newer members of the group play the soprano and alto voices. People brought in snacks to share, as usual, for the mid-meeting break. 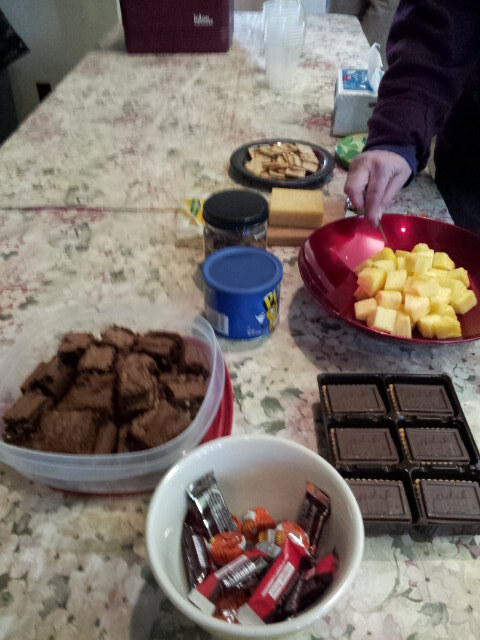 And of course, this being St. Patrick’s Day weekend, Helen had to bring special Irish-themed snacks to share. 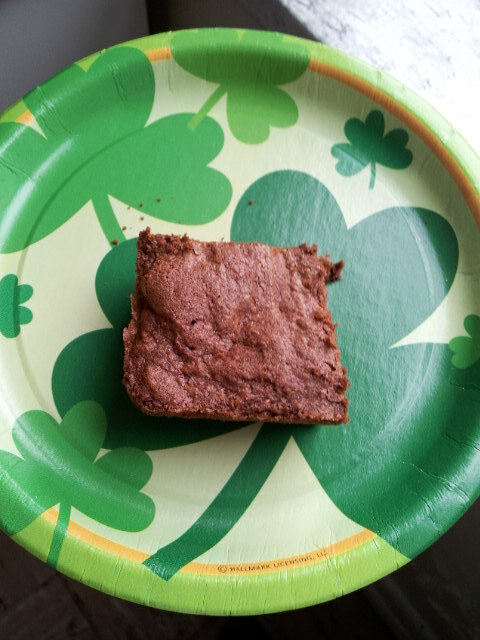 In addition to Irish cheese, she also brought homemade brownies that she said were from an actual Irish recipe! 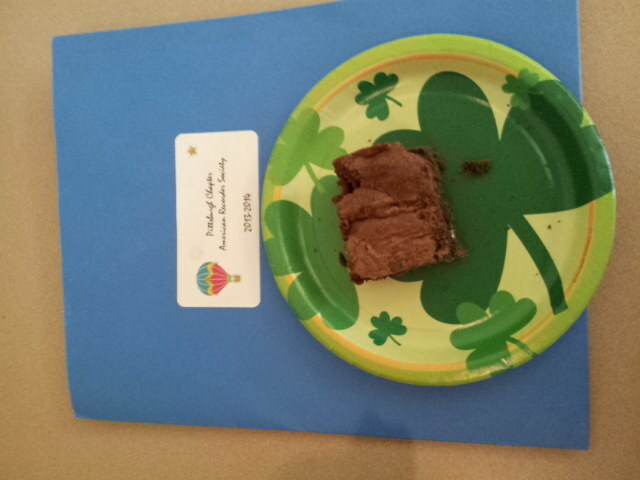 These were fantastic brownies: chocolate, cocoa, good stuff. I had to eat them, again and again. In accordance with my promise about “cookies”, here is a photo of each individual one I ate. In retrospect, this was a big mistake. 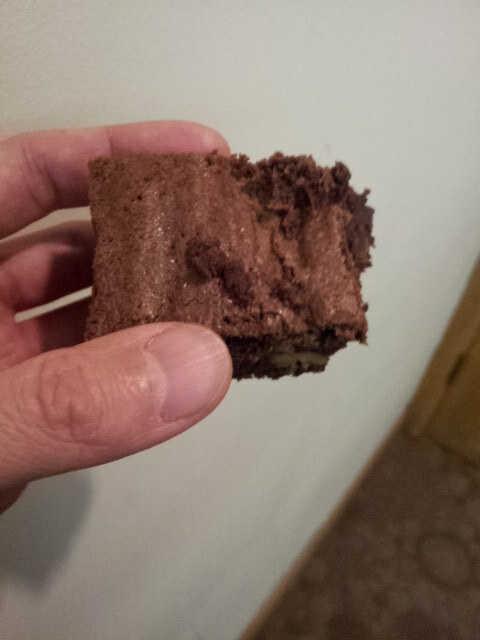 After getting home, I felt burdened by this third brownie. 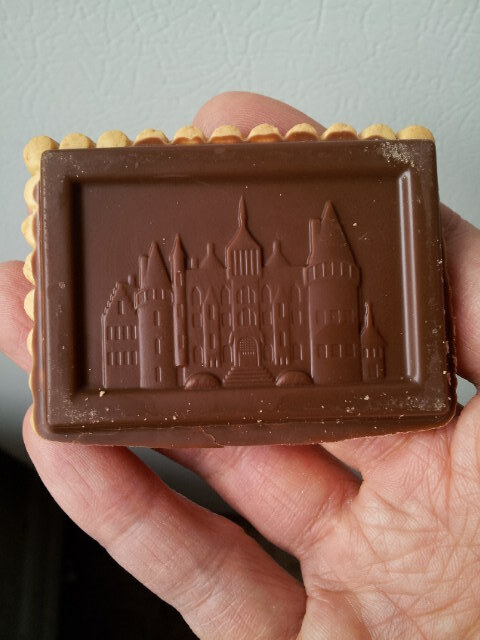 I would have been fine just eating the first two and the one cookie (along with some cheese and nuts that I also had). I’ve noticed that I have a problem when I eat a “one more for the road” cookie at events. I’ve decided to consciously watch out and not do that in the future. I should only eat as much as I can handle, and leave it at that. By popular demand, the following month, Helen brought in the recipe for these brownies.